We would appreciate if you reserve one to one and a half hours for your first visit to our office. This gives the doctor the time needed to fully explore your condition and appropriately attend to your condition. 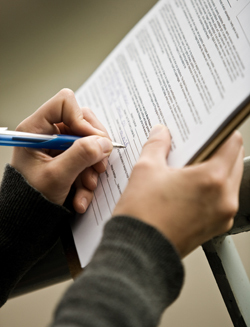 When you come in for your first visit we will guide you through the paperwork which is necessary for you to fill out. The paperwork includes all the background information regarding your health. The doctor will go through a thorough consultation where you will discuss all the information regarding your health condition. The doctor will ask you many questions looking for specific information. This information will help the doctor better understand your condition. The doctor will then guide you through an examination. The examination will include all the appropriate orthopedic and neurological tests necessary to understand your situation. At this point the doctor will know whether or not chiropractic care is appropriate for you. If you are a candidate for chiropractic care, the doctor will take x-rays if appropriate. If your condition requires different intervention, the doctor will refer you to the appropriate health care provider. After the examination the doctor will begin your care if necessary. Gerstenkorn Family Chiropractic patients appreciate that we explain everything in advance! Next, what to expect at your second appointment.